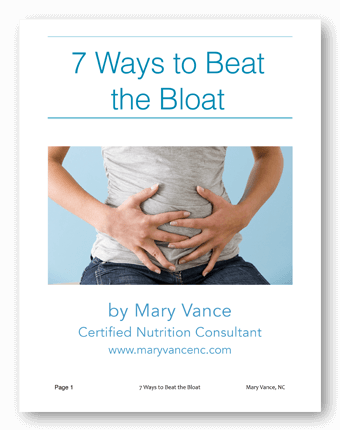 Bloating is the most common digestive complaint I hear from new clients. Bloating can be as severe as noticeable abdominal distention and a feeling of swelling, or it could be minor and nagging, a result of trapped gas. Gas is produced as a by-product of your gut bacteria digesting your food, and it’s normal to pass gas a few times daily. If you’re bloated and farting your way through the day, however, there are a number of issues that may be the cause. Bloating is usually caused by a food intolerance, eating habits, difficult to digest foods, or an imbalance in your gut bacteria. Though there can be many causes, it’s important to determine what’s triggering distention, bloating, and gas in your case not only to overcome the discomfort, but to confirm it’s not a more serious issue that can cause further problems down the road. 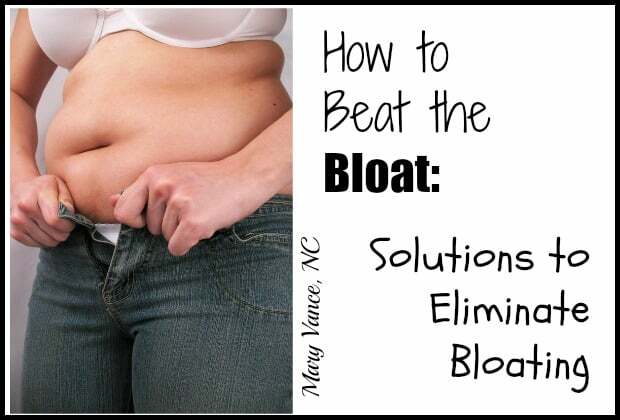 If you’re craving a flat belly, let’s look at some causes of and solutions to bloating. Constipation: if you’re not pooping at least once daily, you are constipated. Constipation is caused by diet, poor gut flora, dehydration, medications, or lack of physical activity. Click here for more detail and how to overcome constipation. Eating too quickly: this is huge. Most of us are so busy that we’re cramming food in our faces during a 5 minute lunch break and eating so quickly that we’re swallowing air and not chewing well. That alone can cause bloating, belching, and gas. Chewing thoroughly and eating slowly is the easiest habit you can begin to improve digestion. Chewing before swallowing allows the necessary enzymes to be released to begin breaking down your food. Take at LEAST 20 minutes to eat in a calm environment, and slow down. Food intolerances: this means you’re either not producing the proper enzymes to break down food (lactase to break down the lactose in dairy, for example), or you’re sensitive to the protein in a food (gluten in wheat products or casein in dairy). The most common culprit I see is dairy. Around 90 percent of the people with whom I work are either lactose intolerant or casein sensitive. Gluten is the next big one, mostly because it’s difficult to digest. Try eliminating these 2 foods for a month and reintroducing them. Eggs, nuts, and soy are other common food intolerances. Difficult to digest foods such as legumes, cruciferous, or high FODMAP foods can cause bloating. Often this means there is a more significant GI issue present, such as inadequate probiotic bacteria or a bacterial overgrowth, but sometimes people just don’t digest beans and broccoli well. You may need to avoid legumes altogether, take a digestive enzyme when you eat, and make sure your cruciferous veggies are cooked and not raw. Bacterial overgrowth such as SIBO, dysbiosis, and low levels of probiotics mean you’re not digesting well, or bacteria are eating and fermenting your food, worsening bloating and gas. Fake sugars or sugar alcohols such as sorbitol, mannitol, xylitol, and erythritol can cause bloating and GI upset. They’re usually found in sugar free or low carb products. Beer and carbonated beverages are a killer for me. I don’t drink beer, but when I go out I’ll often have a club soda with lime “mocktail” which I end up regretting. These fizzy drinks can cause mega gas and bloating. Stick to still water if this is you, and avoid all types of soda–especially diet–at all costs. Now that we know what causes bloating, how do you get rid of it? Eat slowly and chew thoroughly. This is the number one rule to combat bloating. 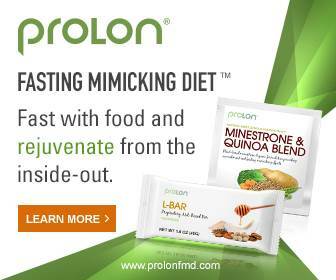 Do an elimination diet with gluten, dairy, and soy to see if they are the culprits. Take a digestive enzyme with meals. Take a probiotic to build up your good gut bacteria. 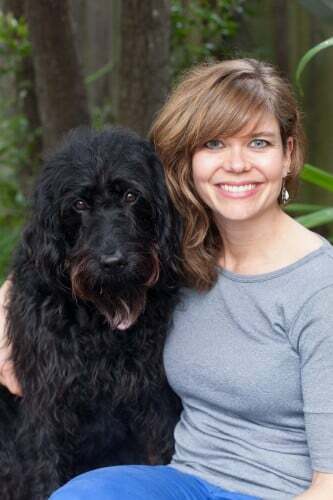 If bloating persists, consider stool testing and especially SIBO testing to check for unwanted or pathogenic bacteria or parasites. Low FODMAP diet can reduce bloating. If you find reducing the FODMAPs helps you, do a breath test for SIBO. SIBO bacteria often cause FODMAP intolerance. Don’t drink more than 6 ounces of liquid with meals so you don’t dilute your enzyme and hydrochloric acid production. Chewing gum can cause bloating. Peppermint tea and freshly pressed ginger tea can relieve occasional bloating. Occasional bloating is usually not a cause for concern; probably means you ate too fast or ate something that didn’t agree with you, like legumes or raw cruciferous. If you’re experiencing bloating daily or as often as several times weekly, it’s time to troubleshoot and determine if it’s a food intolerance issue, poor digestive function, or a bacterial overgrowth. 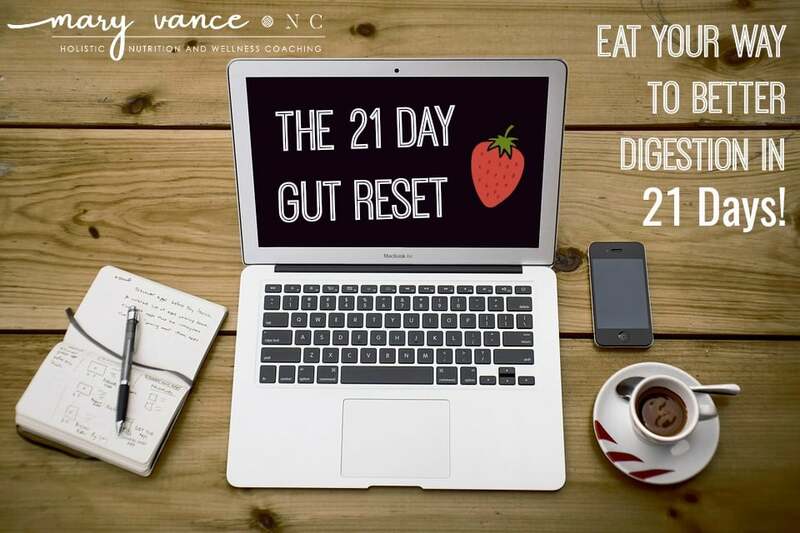 Check out this post for more info on troubleshooting digestive issues.